where is a normal distribution with zero mean and unit variance. Because the normal distribution is used, the process is oftened referred to as Gaussian. For , and are independent. 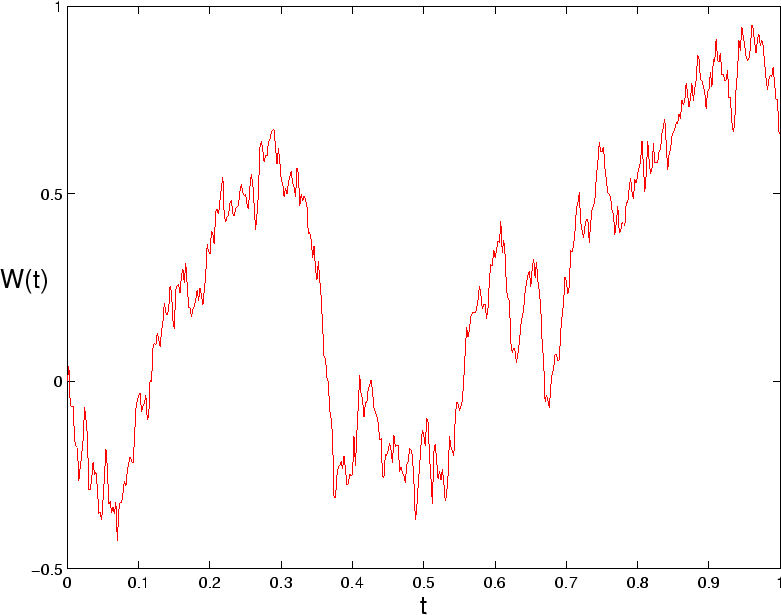 In Matlab, an element of the distribution is obtained with the command ``randn''. These programs produce Figure 1. Figure 1: A realization of a Wiener process.